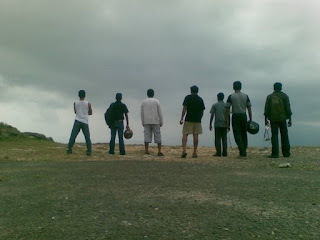 Sitting in front of the computer for hours at a stretch is one main activity that every IT personnel goes through in his worklife.To do away with the stereotyped worklife, me and my hyperactive colleagues formed a Biker Boy team.After forming the team we did not want to keep quiet. So we thought of using our bikes for some real Biking action.We had four bikes for the ultimate biking advent ure. 3) A magnificient Bajaj XCD 125 cc which gives a bad-back to the pillion seat rider. 4) A bulky Honda Unicorn which had an ever-ready hot engine and ready-to-stop-anytime-attitude. 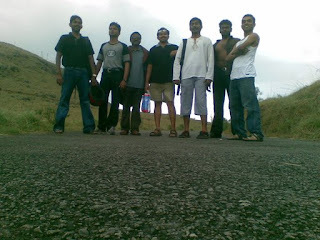 We were seven guys and Our first biking destination was a hill resort,"Ponmudi";situated 75 kilometers from my workplace. The bike ride was an amazing experience and a real back breaking exercise. 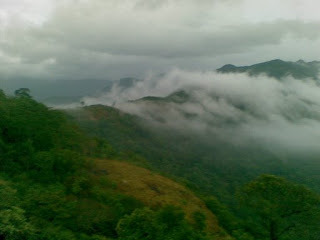 As we finally circled our way past the 22 hairpin bends, all of us were dead tired, a few of us were dehydrated because of excess puking and yours truly lost a great deal of blood to the deadly menacing leaches.But all these troubles did not go in vain cos when we finally reached the summit.It was mist everywhere. 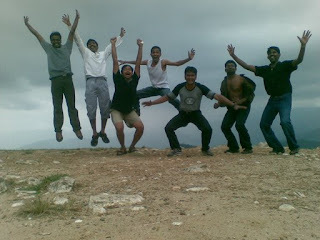 We felt like angels flying around in paradise.We spent around an hour on the hilltop clicking snaps and admiring God's wonderful creation and finally when it started to get dark, we made our way back.Check these few snaps that we took on top of the hill. 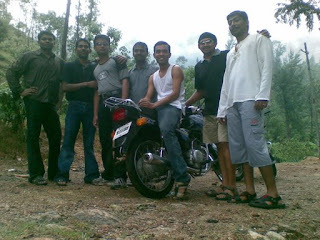 Yours Truly on the extreme right flexing my bones; along with the biker boys.This picture was taken while we were on our way to the suicide point. 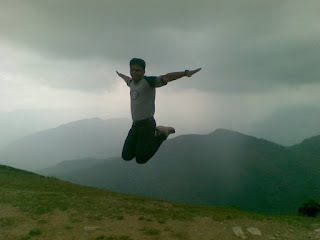 Dhamu, The proud owner of the TVS Victor bike doing a perfect Eagle float in mid-air. Crazy meanie guys going nuts at suicide point.Behind us, there was nothing. That was one great place to go for bike-Trekkers.The climate was cool.3 degree celsius to be precise and it was worth the ride. Please avoid littering the place with plastic products and do take food stuff along with you when you go to this place. WoW....some very wonderfully captured shots! Biking is fun, have done more than 70K kms on my Fiero and its still going strong.